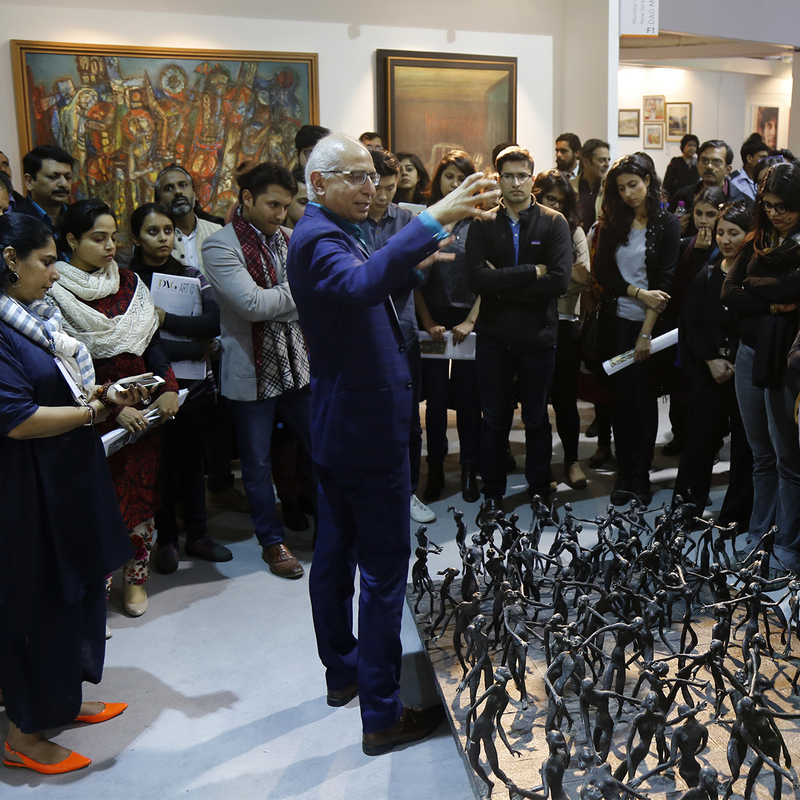 With an objective of taking art to the public, DAG proactively reaches out to diverse audiences, offering them engaging and meaningful ways of understanding and experiencing art showcased in its exhibitions. The pleasure of visual aesthetics apart, art also fosters dialogue and engagement on important issues, be they social, political or historical. And, as such, the art gallery space becomes a vital platform. To facilitate such discursive engagement, DAG plans and organises exhibition-based activities ranging from curated walks, seminars, conferences to informal chat sessions with artists, curators and critics, movie screenings, workshops and so on. Every gathering is designed specifically for its target audience. Such insightful interfaces initiate an appreciation of, and a continuous dialogue with, art. Schools serve many functions in our society beyond transmitting academic knowledge and skills – they play an important role in spreading cultural values, of which art is a fundamental aspect and therefore DAG encourages school participation in its programming through the year. 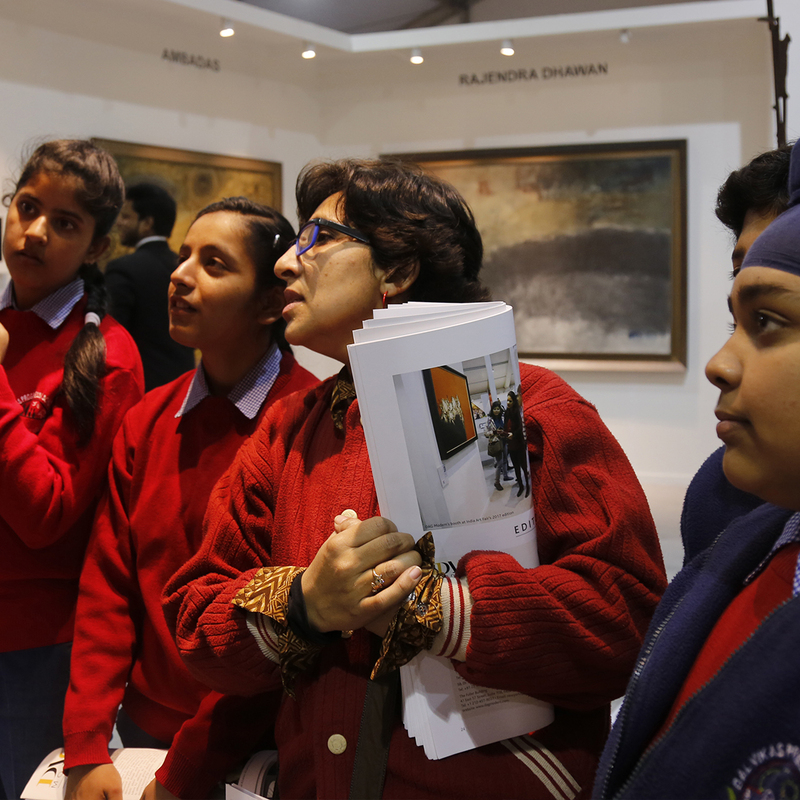 Each exhibition offers a takeaway experience for the students through different channels like educational tours of the exhibition, chat sessions, workshops and theme-based activities. These are customised according to the learning pace of different age groups, ranging from nursery and primary levels to secondary and high school. Such sessions not only provide knowledge of modern Indian art, but also enable social interactions, team-building, life skills and personal expressions on different subjects. Involvements such as these go a long way in moulding the future generations of our society. To promote an appreciation of art, DAG organises curated walks for different corporate establishment, institutions and expat groups. These walkthroughs of the exhibitions in the gallery space are tailored as per the requirement of the group depending on their profession or an interest in a theme, genre etc. Such specific sessions provide a range of perspectives from the multidisciplinary narratives of Indian modern art. In addition, they offer exceptional opportunities to interact with some of the most well-known names amongst artists, scholars and critics. DAG is a pioneer in organising an innovative interpretation program called ‘Abhas—A Tactile Experience’ for people with special needs, particularly the visually impaired. Since the needs of the specially-abled are largely overlooked in public spaces, the aim of this programme is to overcome these physical and mental barriers and make exhibitions all-inclusive. 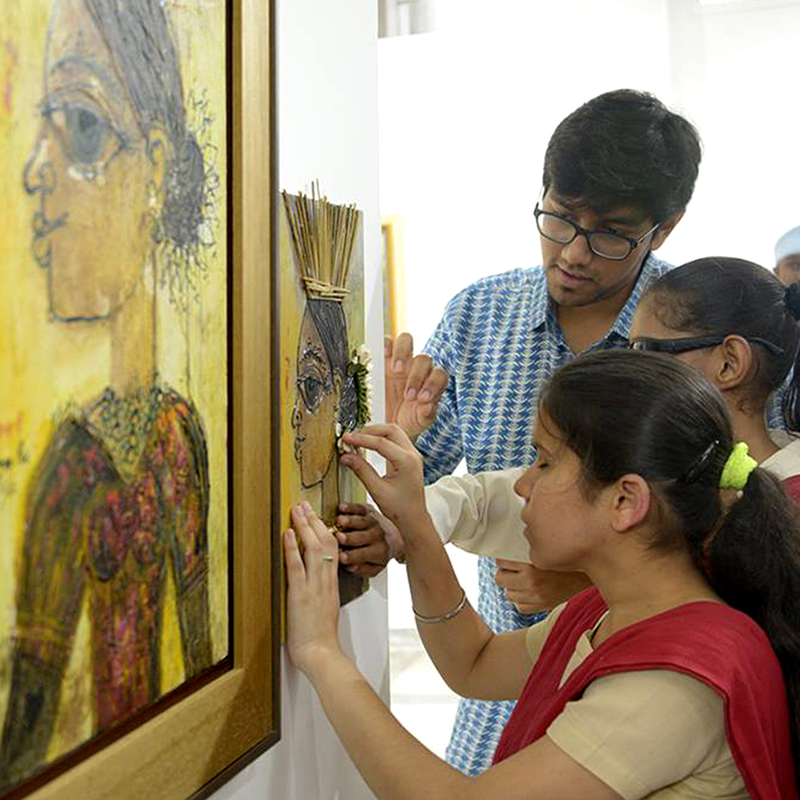 ‘Abhas’ facilitates a walk and talk for the visually impaired students from blind schools using tactile aids of a few selected artworks from the exhibition on display. The objective is to enable an understanding of art by involving more than one sense. A book in braille, providing information on the show, is also made available. In addition, to create awareness on inclusive design and spaces, sensitisation workshops are organised for budding designers, artists, educationists from reputed art and design institutions across Delhi NCR.